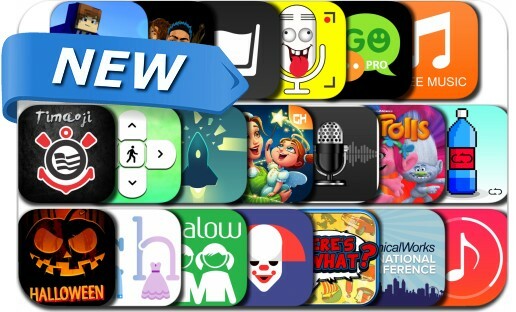 This new apps alert includes Break Liner, Trolls: Crazy Party Forest!, Puzzlepops! Trick or Treat, Visionn - Real Time Artistic Photo & Video Effects, Whisky16, Timaoji, Go SMS Pro Chat, Free Music, Face Filters For Snapchat, Killer Clown Chase and many others. The Zen of Breaking! Break the line and boost through space in this atmospheric arcade experience. How far can you push it before you break yourself?